Our new website is providing much more scope for envisioning, connecting and community-building. Do contact with suggestions and improvements. 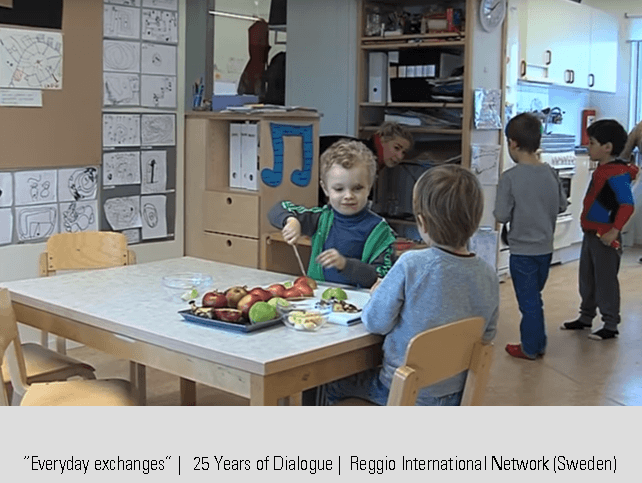 We are the UK reference organisation for Reggio Emilia's preschools, and an active member of its International Network. Children are curious, creative and playful explorers - and so we need to create an education for them that responds to these qualities. They should have the best start possible - not be crushed into a system with only one size for all. We must work hard, with feet on the ground and heads in the clouds, to inspire individuals and institutions to grow and change in the interests of children. Since 1997 Sightlines Initiative has been encouraging an enquiry-based approach to early childhood education through example, professional development, publications and exhibitions. Our approach is research and evidence-based - and it works. You can see the enthused, engaged, deep-thinking children and their thoughtful, committed educators in our project examples. We can see a movement of change, as educators find their true direction and the courage to follow through with it. Whether you are parent, educator, policy-maker, or general supporter, we hope you will join us and help to continue our work.